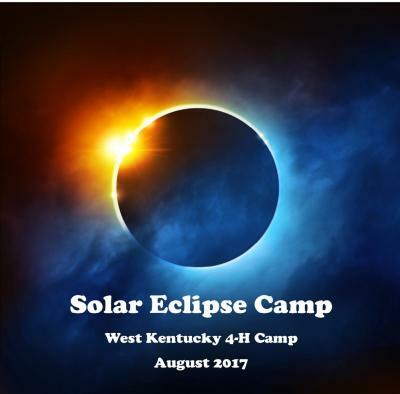 Lexington, Ky., (July 10, 2017) – The West Kentucky 4-H Camp in Dawson Springs is in the direct path of a total solar eclipse that will occur Aug. 21. Kentucky 4-H is taking this rare opportunity to host a Solar Eclipse Camp there so young people cannot only view the historical event but learn the science behind it. The last time a total solar eclipse was viewable from the contiguous United States was in 1979, when it passed through the Northwest. “This is a once-in-a-lifetime event, and we are located at one of the best viewing locations in the world,” said Shane Browning, director at West Kentucky 4-H Camp, which is a part of the University of Kentucky Cooperative Extension Service in the College of Agriculture, Food and Environment. The Solar Eclipse Camp occurs Aug. 18-21 and is open to young people ages nine through 18 from across the United States. During the camp, they will learn about space exploration, astronomy, drones, weather, rockets and telescopes. They will also hear from special guest speakers including meteorologists, astronomers and a NASA scientist. Campers will also get to participate in traditional 4-H camping activities including swimming, canoeing and hiking. The cost of camp is $250 per person and includes lodging, meals, snacks, activities, camp T-shirt and safe eclipse viewing glasses. The registration deadline is July 31. Interested individuals should contact their local Cooperative Extension Service agent for 4-H youth development or email Browning at wkydirector@kentucky4h.org.